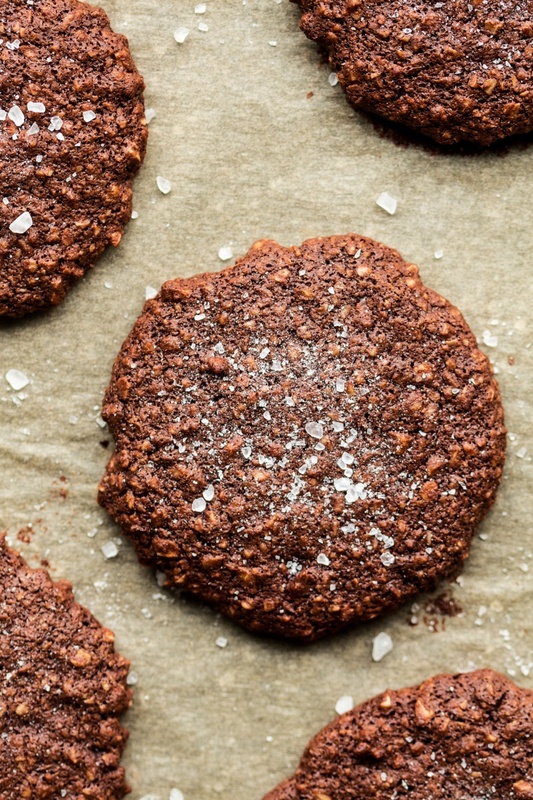 These cookies are a cross between my vegan brookies (have you tried these yet?) and an almond brittle I made for my ginger cheesecake pots. They have crispy edges and are slightly chewy on the inside, super easy to put together (5 ingredients, can you believe that?) 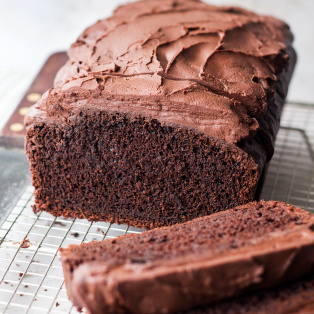 and take about 25 minutes to make in total (baking time included). 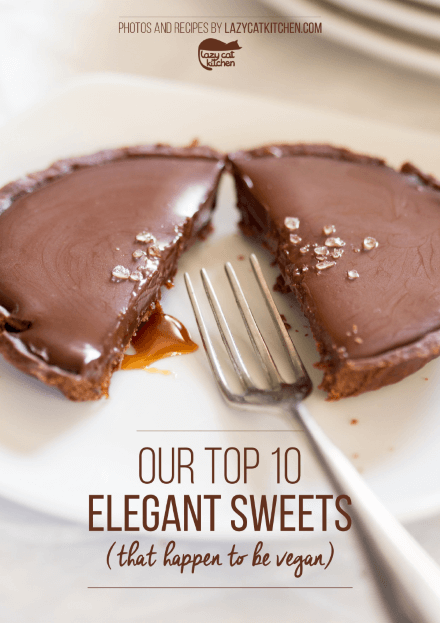 I gave mine a good sprinkling of salt (which is totally optional, BTW – in fact, below are some other suggestions on jazzing them up a little) as I looooove the dark chocolate and salt combo! There is this one chocolate with a hint of salt here, in the UK, that I am totally addicted to and I cannot stop buying it, no matter how much I try to distract myself when I’m passing by. 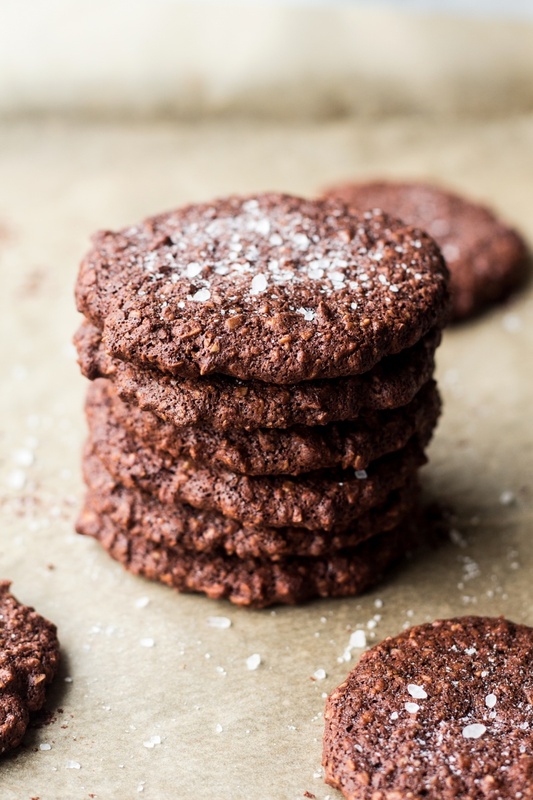 I had planned to release a different recipe today, but I fell in love with these cookies so much that I had to share them with you immediately. 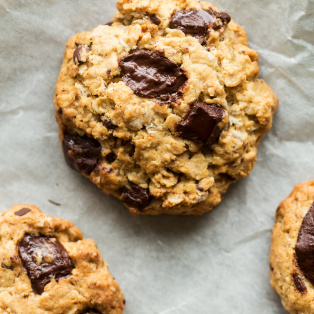 In my usual fashion, I could not decide which version to share as, even though I am a hazelnut and chocolate kind of girl, I knew that the quinoa ones had something going for them too (they are crispy all over BTW – not chewy). I asked you to weigh in on my dilemma on Instagram and Facebook and even though the hazelnuts won, below are both versions for you. The quinoa one is handy if you cannot have nuts or cannot be bothered with a food processor. See, I am chronically indecisive…!!! And as an aside, what is wrong with me? The minute I decide that I should probably stop making desserts, as I’m training for a 10 km race and I would like to lose a few pounds before summer, my head is suddenly awash with cookie and cake ideas – I have two recipes finalised, ready to shoot next week!! And my neighbour is on a diet too so I cannot even con him into taking some off my hands. Seriously! 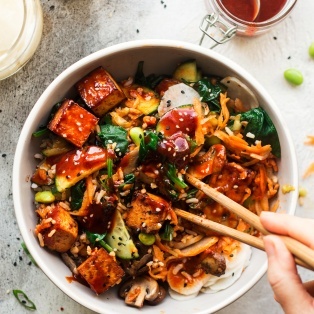 Do you guys have any savoury (but not deep-fried) food that you would like me to attempt to veganise? I cannot promise anything, but I will certainly give it a red hot go. Let me know in the comments, maybe that will motivate me to stop dreaming of all things chocolate 😛 . 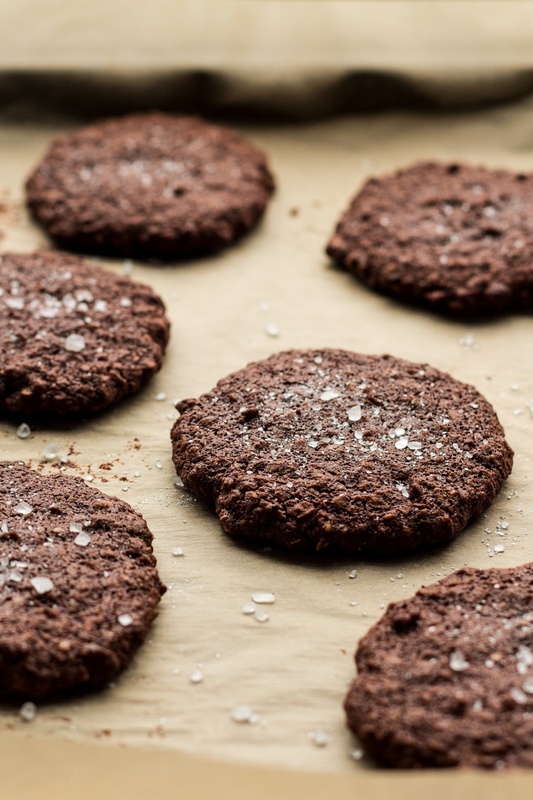 PS: If you make my vegan chocolate cookies, don’t forget to tag me on Instagram as @lazycatkitchen and use the #lazycatkitchen hashtag. I love seeing your takes on my recipes! If making the hazelnut version, grind the hazelnuts up in a food processor until you get a coarse but fairly uniform grind. Be careful not to over process. If making the quinoa version, toast the raw quinoa in a dry pan until golden, making sure you stir it the entire time as it’s easy to burn. Allow it to cool down completely. Preheat the oven to 170° C / 340° F. Line a baking tray with a piece of baking paper. Place the first 4 ingredients in a bowl. If you would like, add some ground ginger or cayenne pepper or orange zest to flavour them a little. I opted for a grind of salt after baking. Add maple syrup until you get a sticky mixture. I found that an 80 ml / 1/3 cup of maple syrup is sufficient, but you may need a touch (a teaspoon or two) more for the dough to hold together. Make sure you mix well before adding any more maple syrup as initially it may look like it’s not enough, but it is! Trust me. Spoon the mixture onto the prepared baking tray and flatten each cookie with the back of the spoon to ensure they are flat and low. Bake for about 10-12 minutes (12 minutes makes them a bit crispier). Remove the tray from the oven and allow the cookies to cool down completely before removing them from the tray with a metal spatula – they will crisp up as they cool. Sprinkle with a generous amount of salt if you like. They keep in an air-tight container for a few days. *Hazelnut meal is too fine so I recommend using coarsely ground nuts. You can use other types of nuts or seeds if you wish. 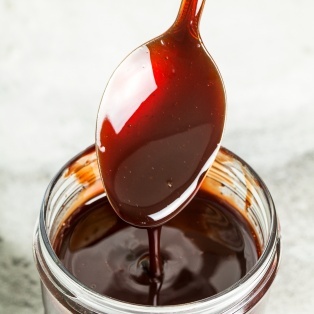 ** I have tried date syrup and it works well too but I didn’t feel that it fit my flavour profile as well as maple syrup does. I suspect that other liquid sweeteners will also work, but I have not tried them myself. Thank you for getting my ESP signals from the U.S.! Seems it only took a week for them to reach you as last week at this time, I was searching for a healthy chocolate cookie recipe. Ended up just mixing some oatmeal, cocoa powder, and peanut butter for a no-bake treat, but now I have a recipe for an Ania cookie which will be much better than anything I could have created. The weekend is looking much brighter already as these look yummy. Yum. This looks sooo good! I only have cocoa powder though… would that be okay instead of cacao? are you serious about wanting ideas for recipes? if so i would love to have a recipe for a healthy savory quick bread that was vegan. that perhaps has some wheat germ and herbs in it. 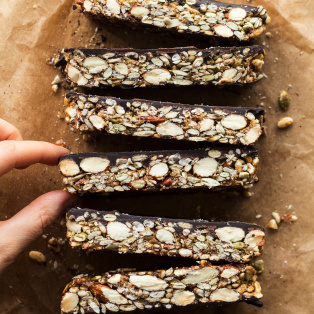 I had something like that in my pre-vegan days and would love to have healthier version that i could put some nut butter on and throw in my pack for a day of hiking or along side a nice seasonal salad. 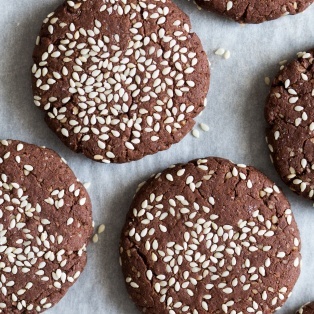 Would this recipe work with raw millet or raw buckwheat groats instead of the raw quinoa, and, would I have to grind the buckwheat first because it’s larger than millet and quinoa? Also, is it safe to eat quinoa, millet and buckwheat like that, just toasted (without cooking or soaking)? 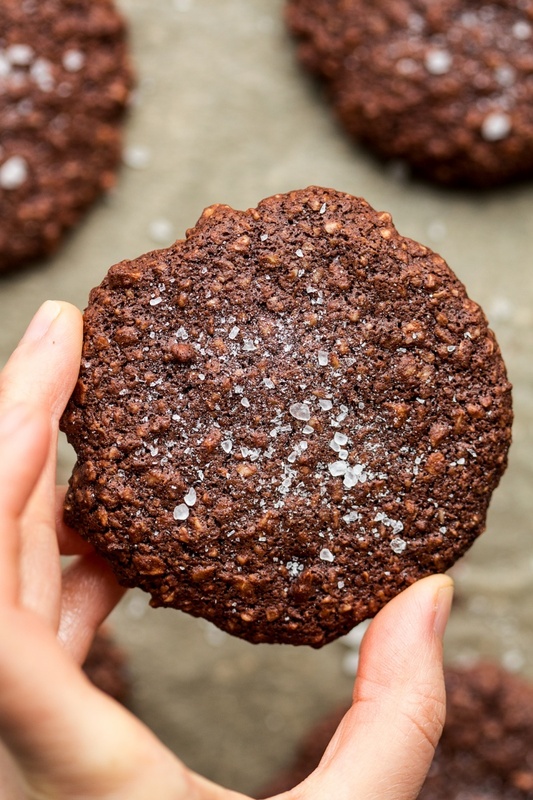 Made these cookies last night with ginger powder and kosher salt on top, everyone loved them both vegan and non-vegan in my household. I used hazelnut version. I also liked that it was only a few ingredients. If you can work out how to do GF, vegan Yorkshire puddings I’m all ears! 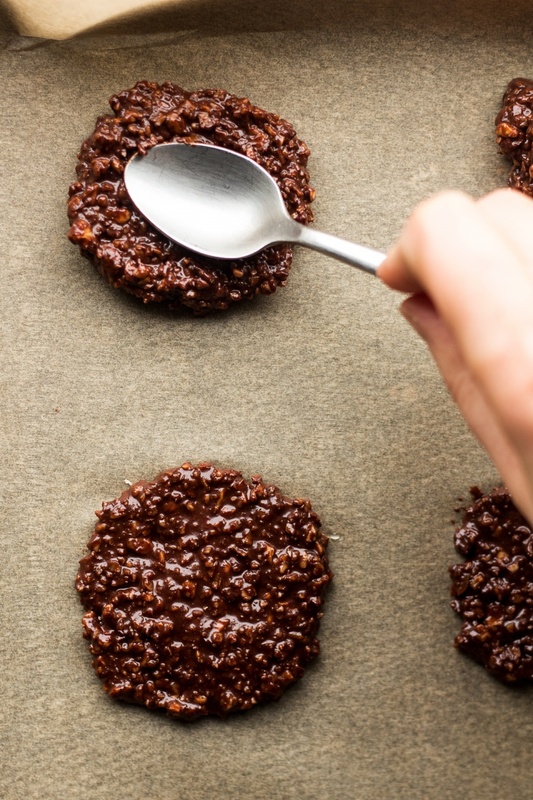 I made them with quinoa and they are indeed crunchy! I followed the recipe, but even with the quinoa being toasted, I find the cookies taste bitter and not sweet at all (maple syrup is there but doesn’t help to sweeten it up?) – or am I mistaken? I think I will try them with the hazelnuts – you didn’t roast these first (for added flavor)? Hi,this sounds very interesting but a bit scary to me. I have never tried eating quinoa in this form. Are you sure it’s not too gritty and teeth breaking? Thank you for helping me out! 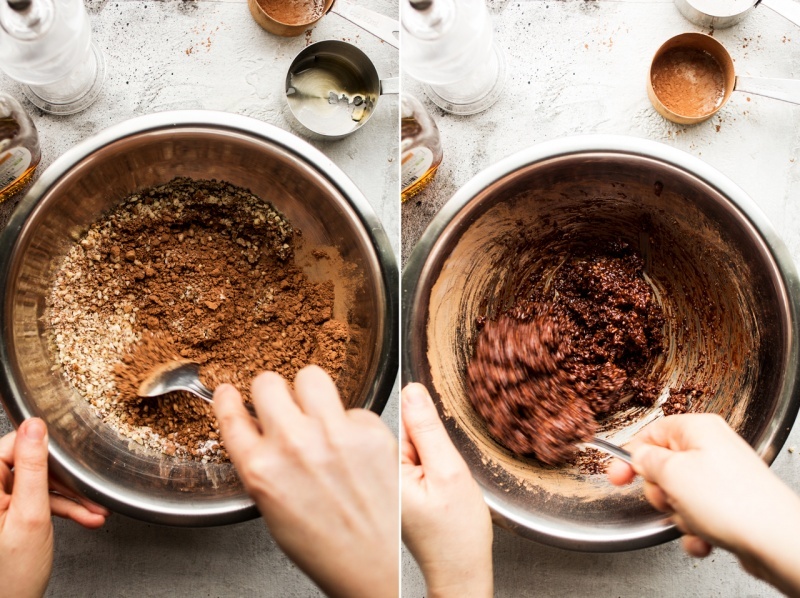 You might be right about my raw cacao powder – I will definitely follow your advice with the quinoa version; first I will try the hazelnut version. Sorry, but I have just one more question – I feel like ‘Columbo’ in the detective serie 🙂 : what do you think that roasting the hazelnuts before grinding them would do to the resulting cookies? These are delicious! So simple to make and yet the perfect mix of crispy and chewy. Amazing! Hi. I’ve made this recipe with quinoa. They are sssoooo good! I did that, rinsed it very well before cooking. Will make them soon again 🙂 Thank you for the recipe! I just finished making these cookies and in typical form I did not read your recipe correctly so instead of nuts OR Quinoa I used both and as I did not have hazelnust I used almonds instead, well I must say if I had not caught my mistake I would have thought that was how they were meant to feel and taste, quite satisfying, thank you. Tried to make these and they turned out great! Do you know how many calories are in each cookie?